Dolz J, Ben Ayed I, Desrosiers C. Dense multi-path U-Net for ischemic stroke lesion segmentation in multiple image modalities. In International MICCAI Brainlesion Workshop 2018 Sep 16 (pp. 271-282). Springer, Cham. 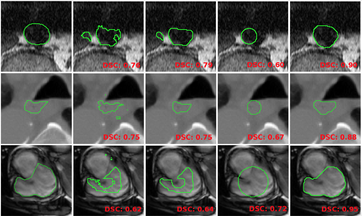 Dolz J, Xu X, Rony J, Yuan J, Liu Y, Granger E, Desrosiers C, Zhang X, Ben Ayed I, Lu H. Multiregion segmentation of bladder cancer structures in MRI with progressive dilated convolutional networks. Medical physics. 2018 Dec;45(12):5482-93. T. Fechter, S. Adebahr, D. Baltas, I. Ben Ayed, C. Desrosiers, J. Dolz. "Esophagus segmentation in CT via 3D fully convolutional neural network and random walk". Medical Physics, 44 (12), 6341-6352. J. Dolz, I Ben Ayed, C. Desrosiers. 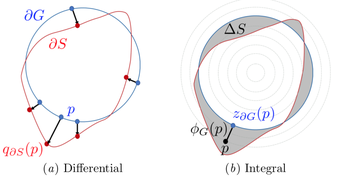 "DOPE: Distributed Optimization for Pairwise Energies". IEEE International Conference on Computer Vision and Pattern Recognition (CVPR), Honolulu, Hawai, 2017. J. Dolz, H.A. Kirisli, T. Fechter, S. Karnitzki, O. Oehlke, U. Nestle, M. Vermandel, L. Massoptier. "Interactive contour delineation of organs at risk in radiotherapy: Clinical evaluation on NSCLC patients". Medical Physics, 2016 May 1;43(5): 2569-80. J. Dolz, N. Betrouni, M. Quiet, D. Kharroubi, H.A. Leroy, N. Reyns, L. Massoptier, M. Vermandel. 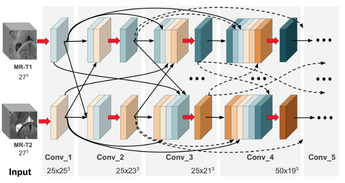 "Stacking denoising auto-encoders in a deep network to segment the brainstem on MRI in brain cancer patients: a clinical study". International Journal of Computerized Medical Imaging and Graphics, 52 (2016): 8-18. J. Dolz, A. Laprie, S. Ken, HA Leroy, N Reyns, L Massoptier, M Vermandel. 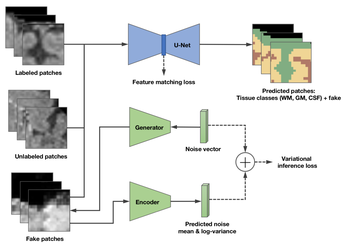 "Supervised machine learning-based classification scheme to segment the brainstem on MRI in multicenter brain tumor treatment context". International Journal of Computer Assisted Radiology and Surgery (IJCARS), 2015, 1-9. A. Laruelo*, J. Dolz*, S. Ken, L. Chaari, M. Vermandel, L. Massoptier, A. Laprie. “Probability map prediction of relapse areas in glioblastoma patients using multi-parametric MR”, ESTRO 35th Meeting, April-May 2016, Turin. Nominated to the ESTRO Best Poster Award in the category of "Physics Poster Award". J. Dolz, H.A. Kirisli, T. Fechter, S. Karnitzki, U.Nestle, M. Vermandel, L. Massoptier. “Preliminary clinical study to evaluate an interactive system to segment OARs in thoracic oncology”, ESTRO 35th Meeting, April-May 2016, Turin. Nominated to the ESTRO Best Poster Award in the category of "Physics Poster Award". Jose Dolz, Soléakhéna Ken, Henri Arthur Leroy, Nicolas Reyns, Anne Laprie, Laurent Massoptier; Maximilien Vermandel. 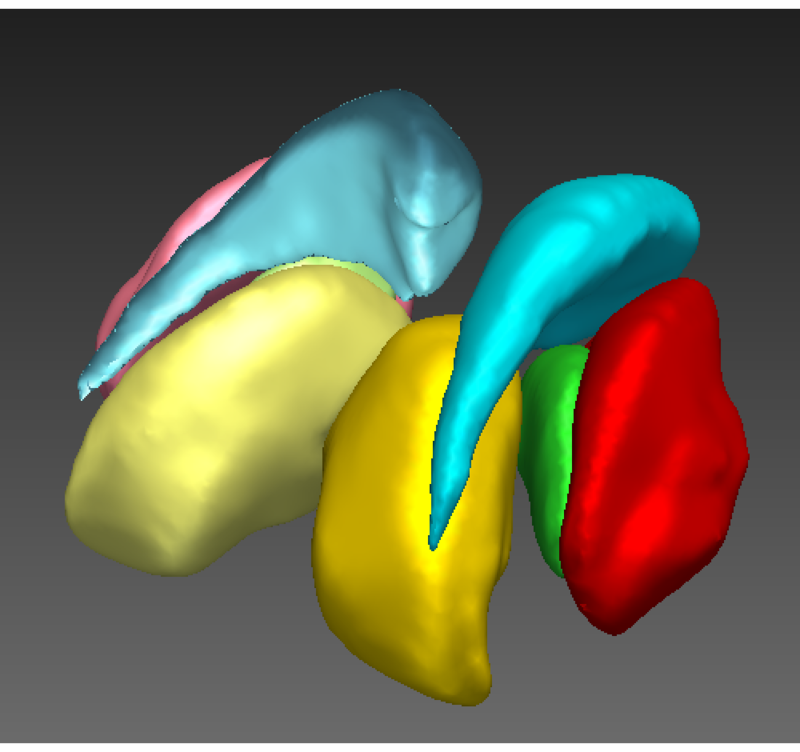 “Supervised machine learning method to segment the brainstem on MRI in multicenter brain tumor treatment context”, International Conference of Computer Assisted Radiology and Surgery (CARS), June 2015, Barcelone. Dolz J, Leroy HA, Reyns N, Massoptier L, Vermandel M. “A fast and fully automated approach to segment optic nerves on MRI and its application to radiosurgery”, IEEE International Symposium on Biomedical Imaging (ISBI), April 2015, New York (pp. 1102-1105). Dolz J, Kirisli HA, Vermandel M, Massoptier L. "Subcortical structures segmentation on MRI using support vector machines." 1:24-31, July 2014. Ramkumar A, Dolz J, Kirisli HA, Schimek-Jasch T, Adebahr S, Nestle U, Massoptier L, Varga E, Stappers PJ, Niessen WJ, Song Y. "Human computer interaction in segmenting organs at risk for radiotherapy: a pilot study" 1:69-79. 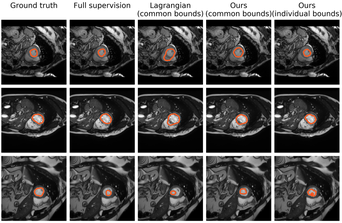 "Deep learning meets optimization: application to medical image segmentation". Computer Science department, University of Sherbrooke. Canada. 25 September,2017. 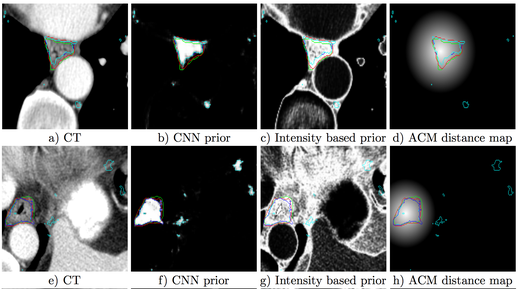 "Infant brain tissue segmentation: an ensemble of semi-dense fully CNNs approach". iSEG Grand MICCAI Challenge 2017. Quebec, Canada. 14 September, 2017. "Segmentation of Medical Images via Deep Learning Techniques: Current State-Of-The-Art and Perspectives". Summit "deep learning in healthcare". Boston, USA. 26th May, 2017. "Réseaux neuronaux de convolution en 3D pour la segmentation de structures sous-corticales en IRM: étude à grande échelle". Congres du Laboratoire de recherche en imagerie et orthopédie (LIO). Montreal, Canada. 23 Novembre,2016. "Segmentation automatique adaptée pour la délinéation des OAR en radiothérapie". 21èmes journées de radiothérapie de Lille. Automatique et IRM : Les deux prochaines (r)évolutions en radiothérapie?. Lille (France), 28-29 Janvier, 2016. 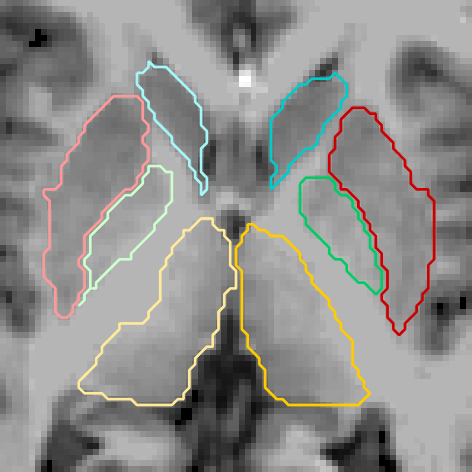 "Minimally interactive segmentation of brain subcortical structures from MRI". 3rd SUMMER Summer-school: Multimodal Imaging towards individualized RT treatments. Delft, The Netherlands, July 8th-10th. "Use of watershed and graph-cuts methods to segment OARs in radiotherapy". 2nd SUMMER Summer-School: Innovative imaging to improve radiotherapy treatments. Lille, France, July 8th-12th. 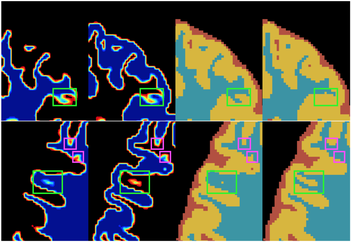 Segmentation of the organs at risk in brain cancer through a deep learning architecture: clinical application.